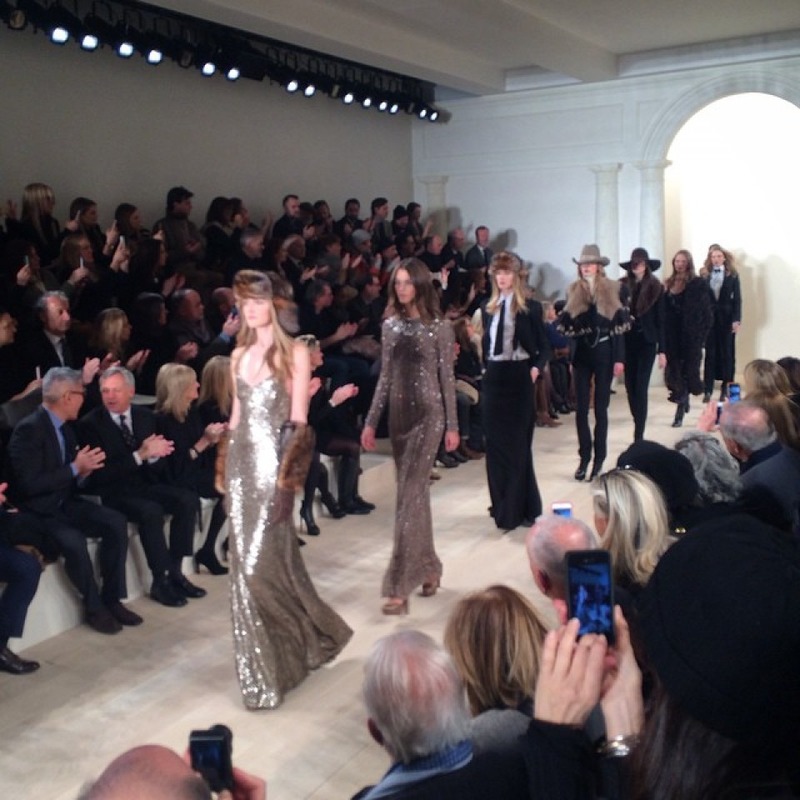 Ralph Lauren Fall/Winter 2015-2016 Collection – Runway Looks to fall in love! 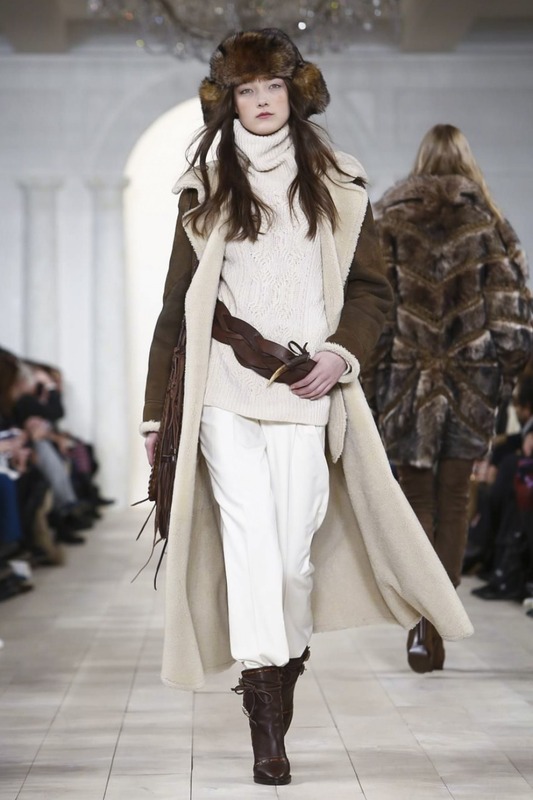 New Ralph Lauren’s Fall/Winter 2015-2016 ready-to-wear collection will appeal to those who are used to wear not only stylish, but also warm. Instead splendour and glamour of last season designer presented comfort, warm and very stylish outfits for next autumn-winter season. Here you can see warm sweaters and knotted dresses, ponchos, jackets, ‚fur‘ coats , skirts and trousers. Colours palette that never deviated from oat, truffle, cream, fawn and bronze and using cozy knits, suede and shearling made into patchwork ‘furs’ (the company has a long-standing commitment to not use fur products, so everything was constructs of shearling!). Evening outfits could not miss this collection. A long-sleeved, high-neck lace gown in cream, a black silk dress with nothing but a harness strap at the back or how about a tall drink of a velvet one instead? A three-piece black suit with a shearling collar practically swaggered down the runway. As accessories were chosen hats, caps, ties, bulky accessories, wide belts, braces, bags with fringes and gloves in the same shade of shoes. The collection was shown in New York Fashion Week, 19 February 2015. < Pop Princess Taylor Swift on the Cover of September issue of Vanity Fair.